Lexington Houses Blog: 4 Tips to Prepare for Buying a Lexington Home! 4 Tips to Prepare for Buying a Lexington Home! If you’re considering buying a Lexington home this year, now is a great time to begin the home buying process! While the past few years have leaned heavily in favor of buyers, 2013 is continually showing signs of real estate recovery and home prices are on the rise. According to a report from Trulia’s Housing Barometer, existing home sales showed a rise in November 2012 of 6% and many cities across the nation are seeing an increase in the double digits. NAR Chief Economist, Lawrence Yun, noted that the rise in home prices is due to the increase in jobs available and rising rent costs. Not only are rising home prices reason enough to begin your Lexington home search, but the currently low mortgage rates will not stay this low forever. Economists are also wondering about the issue of supply and demand. If there aren’t enough sellers coming to the market, bidding wars will ensue between buyers. So, what can you do to prepare now to buy a Lexington home? Here are a few things you’ll want to start doing now in order to jump into the market once you find the home of your dreams in Lexington. 1. Saving & Paying off Debt- This seems like a very basic point, but a very essential one. The days of “no money down mortgages” are gone and most lenders require at 5% down. You will also make sure that you have additional money for things like closing costs, as well as money in the bank when all is said and done. Lenders are becoming more strict and want to know you can back up the purchase of a home. You’ll want to be sure to have as little debt as possible since lenders will take this into consideration as well. 2. Building Good Credit- Credit scores are moving to the forefront of being approved for a home loan. Most lenders are expecting a credit score of 600+ even for FHA loans. A good credit score will not only help you qualify for a home loan, but can lower your interest rate, which can save you thousands of dollars in the long run. 3. Creating a Home-Buying Budget- If you’ve taken the time to create a home-buying budget chances are you’re serious about buying a home and want to go about it in the best way possible. It’s imperative to establish your budget prior to talking with lenders. Just because you are approved for a certain amount on the loan, does not mean that’s what you can actually afford. Lenders don’t take your extended finances into consideration, but will look at your income. Be sure to stick within your budget to avoid foreclosure and heartache in the future. 4. 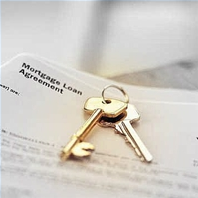 Researching Mortgage Options- It’s important to research which type of mortgage is best for your financial situation. Getting a fixed or adjustable-rate mortgage will depend a lot of your long term goals. Your Lexington Real Estate agent will also be able to help you determine which option is better for you and can walk you through the pros and cons of both. 5. Getting Pre-Approved for a Mortgage- Getting pre-approved before you meet with a lender can save you time and will be a good indicator of any financial issues that need to be addressed. Things such as credit or income problems are items you want to take care of before trying to get approved for a home loan. Sellers will also take you more seriously if you have your financials in order. If you’re ready to get started in your Lexington home search, or have further questions about the Lexington Real Estate market; please contact me today! I look forward to helping you find your next home! Is Insulation Upgrade a Good Investment?